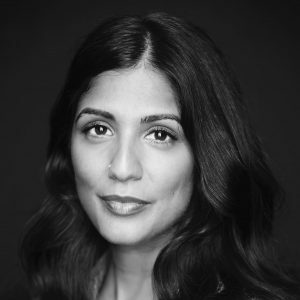 Mira Jacob is the author of the critically acclaimed novel, The Sleepwalker’s Guide to Dancing, which was a Barnes & Noble Discover New Writers pick, shortlisted for India’s Tata First Literature Award, and longlisted for the Brooklyn Literary Eagles Prize. She is the co-founder of much-loved Pete’s Reading Series in Brooklyn. Mira has appeared on national and local television and radio, and has taught writing to students of all ages in New York, New Mexico, and Barcelona. She currently teaches fiction at NYU and is drawing and writing her graphic memoir, Good Talk: Conversations I’m Still Confused About (Dial Press, 2018). She lives in Brooklyn with her husband, documentary filmmaker Jed Rothstein, and their son.